Running for office or helping someone who is? 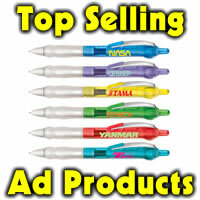 Promotional products with the logo, name and slogan can put your name in the hands of voters. From pencils to bumper stickers, balloons to emery boards, banners, hand fans, parade giveaways, buttons and more, Thank Em Promotions can find affordable, different and vote catching items! Items for any budget, low minimums and quick turnaround. Ask us for our top 5 items that can be done quickly to get your information into the hands of voters to keep your candidate’s name at the top of their list. All orders must be prepaid. Balloons, bumper stickers, emery boards and more make great political handouts. 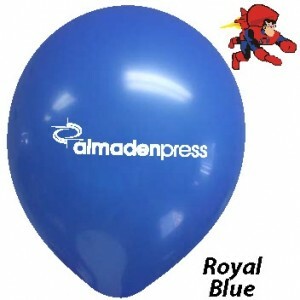 Do you need imprinted balloons for your next booth or special event? Just imagine smiling faces carrying your logo all over town! Huge color selection in latex decorator or pearl, sizes for 9″, 11″, 14″ , 16″ or 17″. 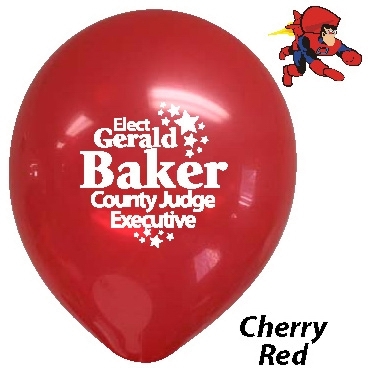 Minimum is only 50 balloons and free set up for one side, one color imprint. One side imprint only on 9″. Price for decorator colors – 9 inch starts at 50 balloons for 79.00, 100 balloons for 85.00, 150 for 95.00, and 250 for 105.00, 500 9″ for . Decorator colors – 11″ pricing- 50 balloons for 85.00, 100 balloons for 89.00, 150 balloons for 99.00, 250 balloons for 115.00, 500 for 169.00 and 218.00 for 1000 11″. Email for pricing on 14, 16 and 17″ sizes. Imprint area blown up is 5″ sq. on 9 and 11 inch, Pearl balloons are slightly more in each size.